(ii) The merit list(s) will be displayed on notice board at the office of the Apprentice Training Manager (ATC), Mb.P.T. Workshops’, Mazgaon, Mumbai - 400 010 and also uploaded on Mb.P.T. 's website www.mumbaiport.gov.in. Probably the merit list will be displayed / upload on 24/05/2018. However, any changes in this regard will be informed on Mb.P.T.’s website. (iii) The listed candidates in merit list(s) shall be called for verification of all original documents and selection procedure at ATC office. The date of reporting for verification of documents and selection procedure will be displayed on notice board at the office of the ATC and also uploaded on Mb.P.T. 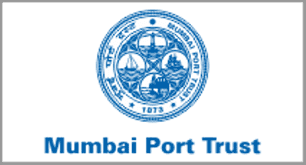 's website www.mumbaiport.gov.in. The tentative date of reporting shall be from 29/05/2018 to 31/05/2018. However, any changes in this regard will be informed on Mb.P.T.’s website.